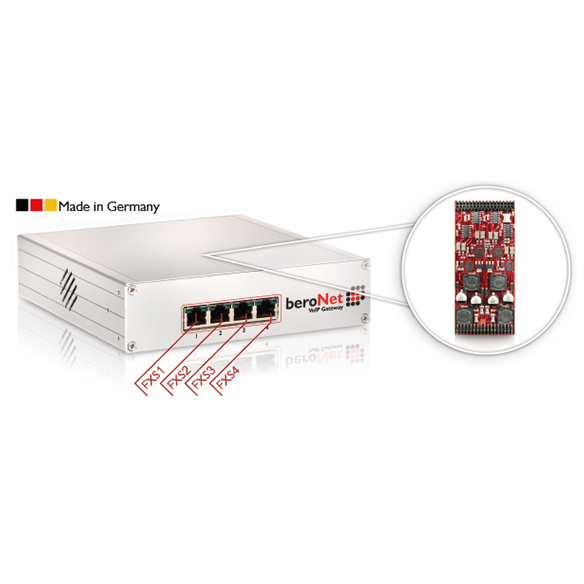 The beroNet 4 FXS VoIP Gateway (BF4004FXSBox) provides 4 analog FXS ports for the connection of analog telephones, or Fax devices. 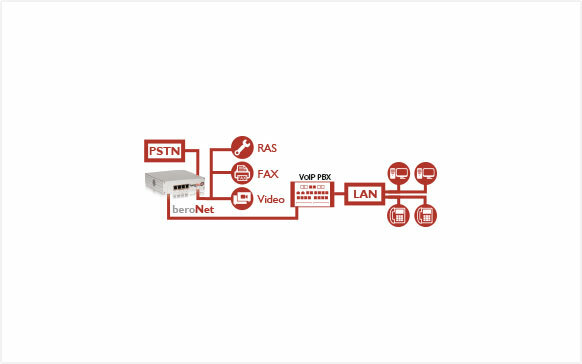 With transparent hardware bridging, potentially difficult services fax devices, can be connected to SIP Trunk or IP-PBX through a beroNet Gateway. 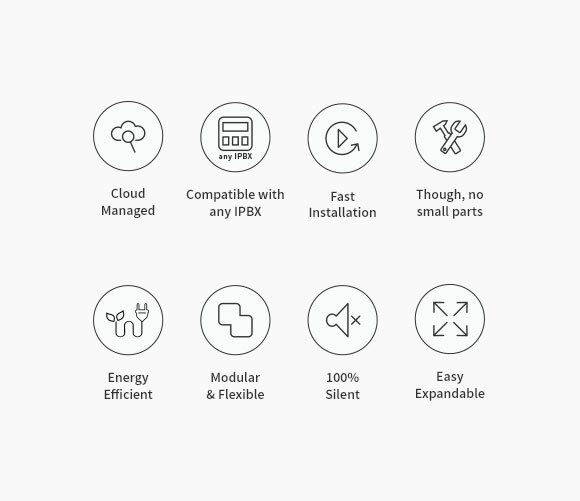 The 4 FXS VoIP Gateway is also available as an 8, 12 and 16 FXS Version.